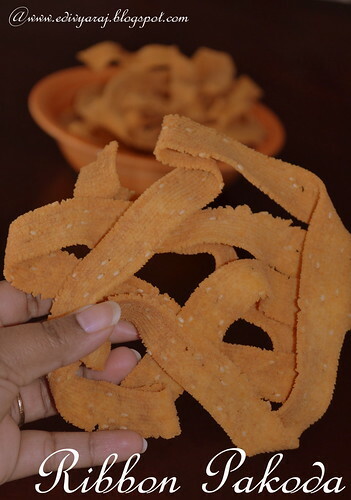 Grind roasted channa dal in a fine powder,sieve it once. In a mixing bowl,add rice flour,besan flour,roasted channa dal powder,sesame seeds,butter,red chilli powder, garlic paste (i didn't add if u want u can add now) and required salt. 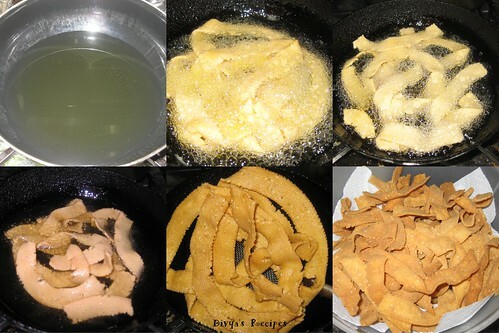 Add water little by little to form a soft stiff dough.Grease the press with oil then fill it up with batter and keep it ready. 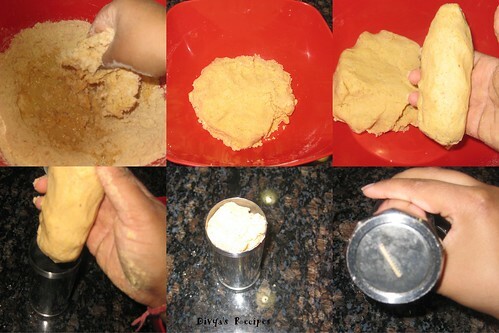 Press the dough starting from the edge to the center in a circular motion in the preheated.Do not add more layers to ensure even cooking.Turn over to other side when the bubbles ceases and cook again till bubbles ceases.Drain it tissue paper, cool down completely and then store it in an airtight container.Repeat the same for the prepared remaining dough too. 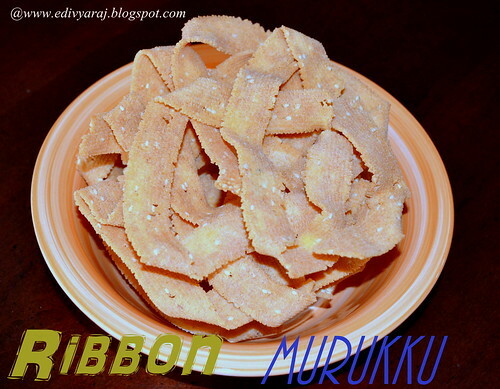 You can keep this for a week and enjoy this as a tea time snack. 1. 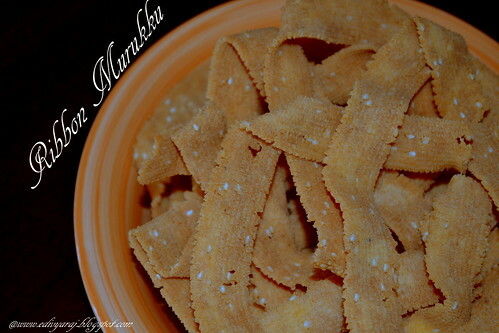 If you like pepper you can add 1/4 tsp freshly ground but make sure its fine engouh to get through the press. 2. 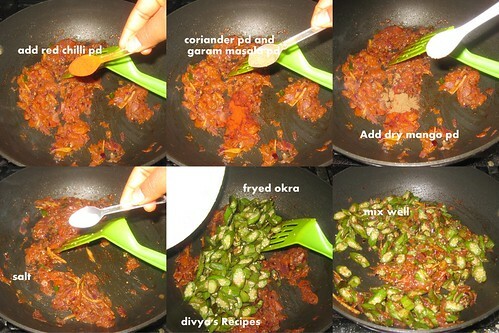 Also grind garlic to a very fine paste.You even grind red chllies with garlic and skip red chillies powder. 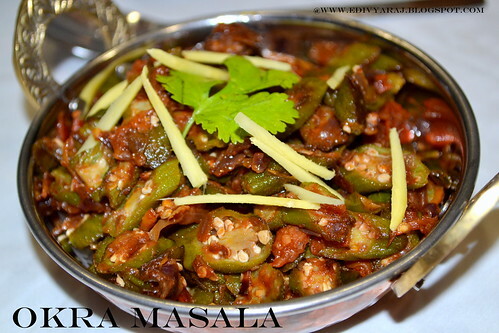 Rinse the bhindi well in water.Dry them on a large plate on their own or wipe a kitchen towel. 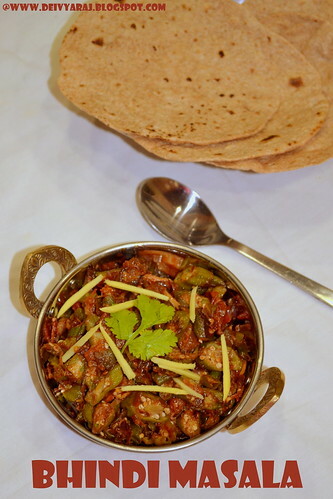 Remove the base and stalk while chopping the bhindi.Chop into 1 or 2 inch pieces. 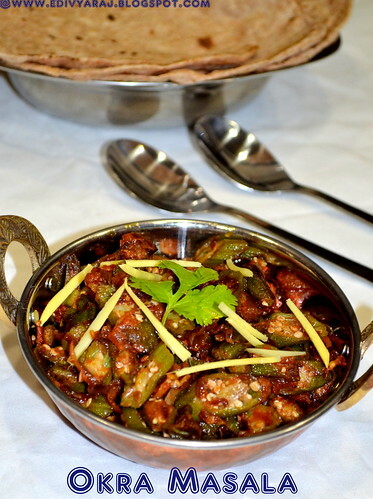 Heat 2 tbsp oil in a kadai /wok or pan. 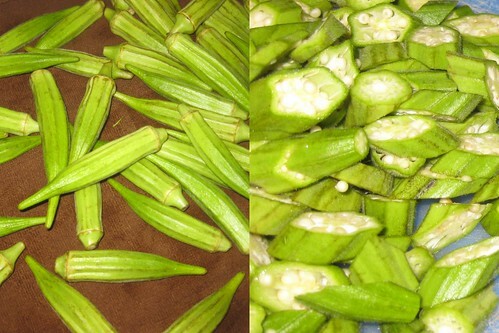 Add the okra and saute till they are completely cooked with 1 tsp salt.You will have to keep an eye on them and stir in between many times.Taste the okra and if the crunchiness has gone and the okra have become soft,it means they are cooked.Then transfer to plate ,keep it aside. 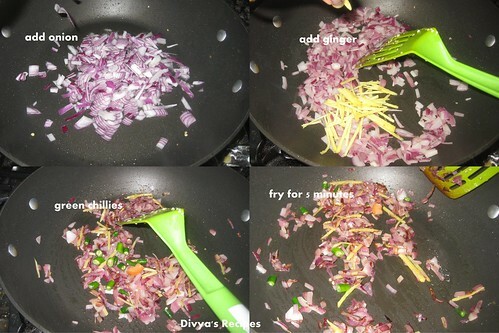 Now add oil to the same pan,add chopped onions and fry till they become translucent .Add the green chillies and ginger , saute for 1/2 a minutes or till the aroma of the ginger disappears. Add the chopped tomatoes and saute till the tomatoes are soft and mushy.If the tomato mixture becomes too dry and about 1/4 cup and continue to cook. 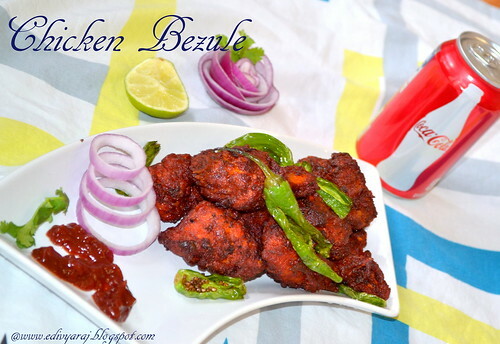 All the above cooking is done in a open pan and you don't need to cover the pan with the lid. 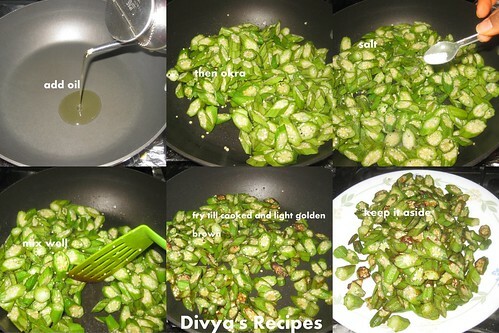 Now add coriander powder,red chilli powder,garam masala powder and dry mango powder stir well and saute for a minute.Add the saute okras cook for 2-3 minutes stir in between. 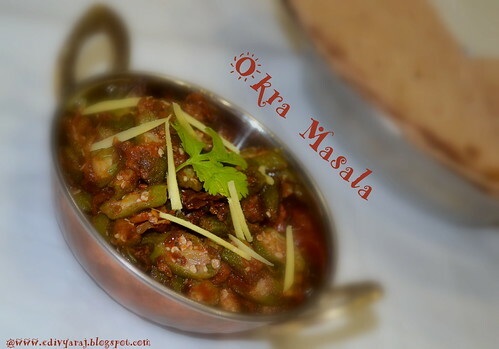 Serve the okra masala hot and garnished with some ginger strips and accompanied with chapatis,rotis or rice. 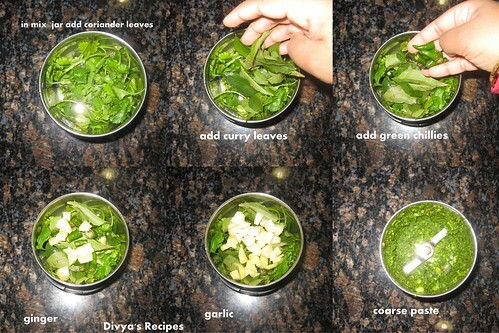 Grind coriander leaves,curry leaves,ginger,garlic and green chillies to a coarse paste. 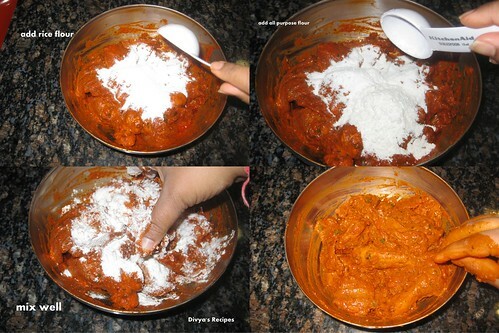 Add the ground paste in the bowl then add chilli powder,garam masala powder,cumin powder,lemon juice,yogurt,food color,and salt mix well. 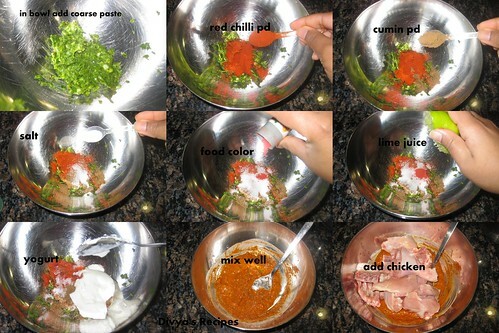 Then add chicken pieces and mix well. 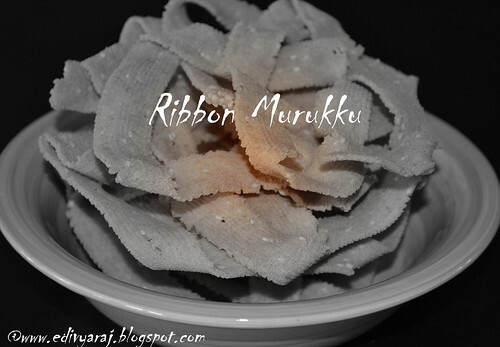 Keep in the refrigerator for at least 4 to better overnight..Take it out 1/2 hr before frying.Before frying add rice flour and all purpose flour mix well. 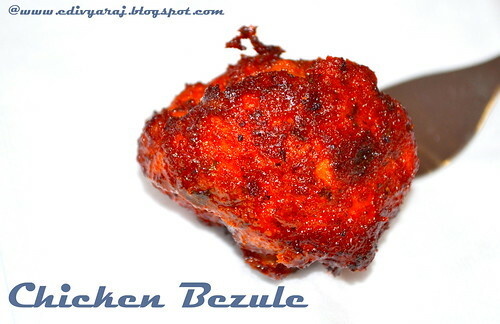 Fry the chicken pieces until done and brown on both sides,about 3-4 minutes at medium heat. 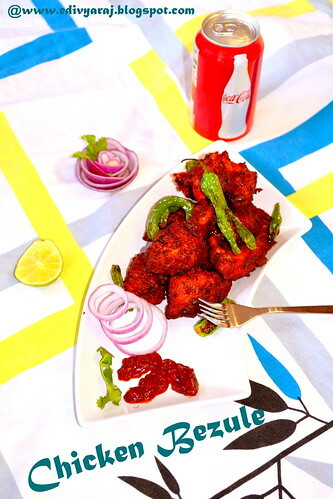 Garnish with fried curry leaves and green chillies. 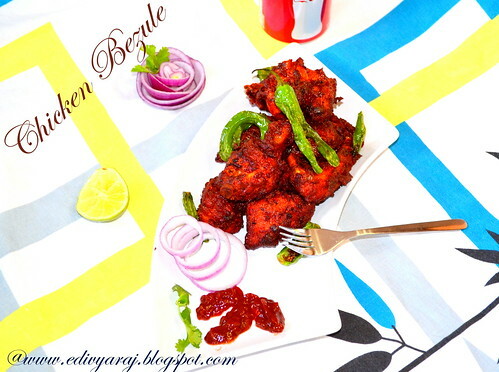 Serve this super delicious fried chicken bezule with sliced onions and lime wedges. 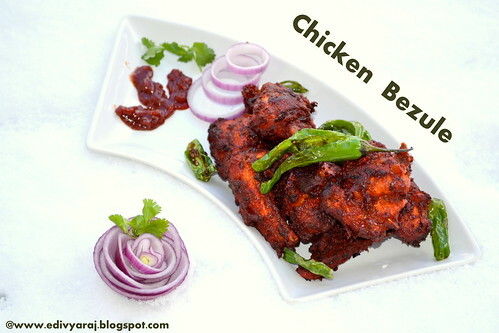 1:-If the batter is too dry,the marinade will come off the chicken when frying.So if you get a dry batter,add in a few drops of water to get a slightly wet batter so that it sticks well onto the chicken. 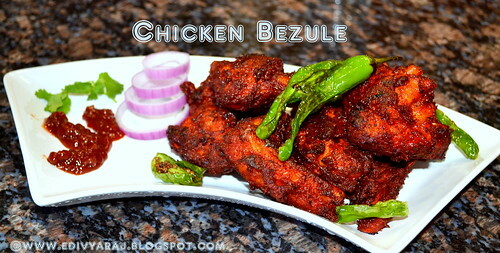 2:-Do not add many pieces of chicken at a time while frying.That is,do not overcrowd the pan. 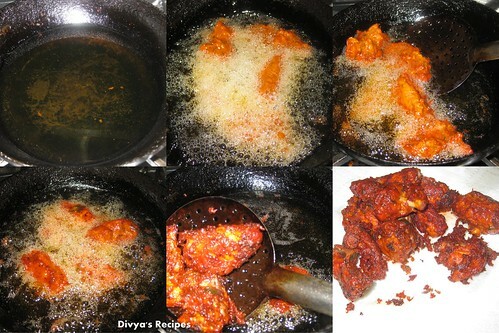 3:-Do not over fry the chicken .Fry to perfection to get nice tender pieces. 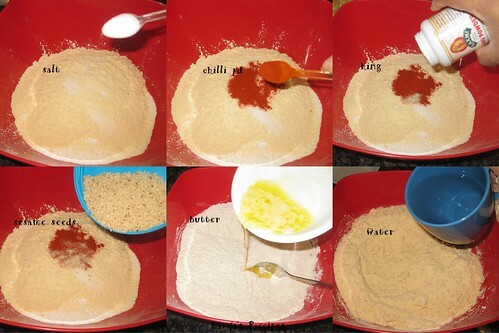 4:-Do not skip the marinating part.